If you liked this show, you should follow Pete Williams. Bob Babbitt is the Forrest Gump of the endurance sports world. Pick an event from the last 35 years and chances are he was there - or at least has interviewed everyone who was. Continuing the Gump analogy, he's also a terrific endurance athlete. Among Bob's other accomplishments: creator of the Muddy Buddy obstacle run series, which has inspired literally dozens of copycats. 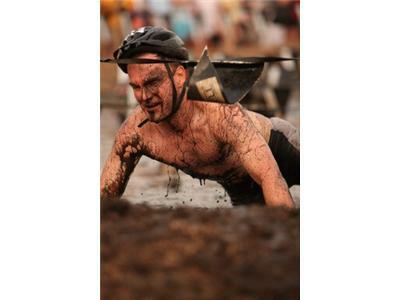 The boom in obstacle mud runs might be the top story in the endurance sports world and Bob is here to talk with us about the boom. He's also a key source for Matt Fitzgerald's terrific new book IRON WAR, which chronicles the epic 1989 showdown at Ironman Kona between Mark Allen and Dave Scott. We'll get Bob's thoughts on that is well.